The International Association of Fire Chiefs (IAFC), through their Safety, Health and Survival Section and in cooperation with the Emergency Responder Safety Institute, are urging all fire chiefs and officers to immediately issue a safety and survival alert in their departments-and immediately share the information in the below link. During an emergency safety and survival alert, personnel are urged to postpone non-emergency tasks to focus on critical safety and survival training. 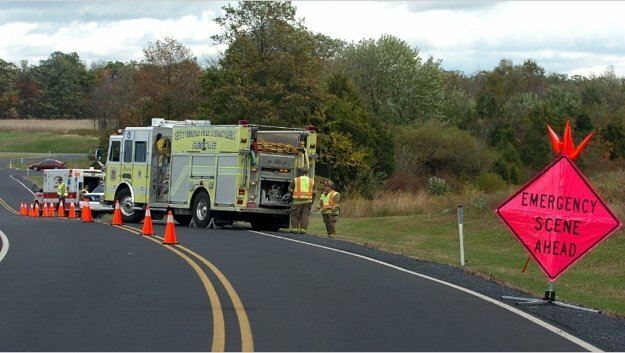 During this alert, we will remember the many brothers and sisters whose lives have been lost working on our roadways due to multiple incidents of personnel and apparatus being struck. Firefighters & EMS personnel being struck on our roadways has become an almost daily occurrence. Additionally, there are numerous learning links within the below link. PLEASE SHARE THE ABOVE LINK WITH EVERY FIREFIGHTERS & EMS MEMBER.